Product categories of Motorized Linear Actuator Lift, we are specialized manufacturers from China, Motorized Linear Actuator Lift, Motorized Linear Actuator suppliers/factory, wholesale high-quality products of Linear Actuator Lift R & D and manufacturing, we have the perfect after-sales service and technical support. Look forward to your cooperation! 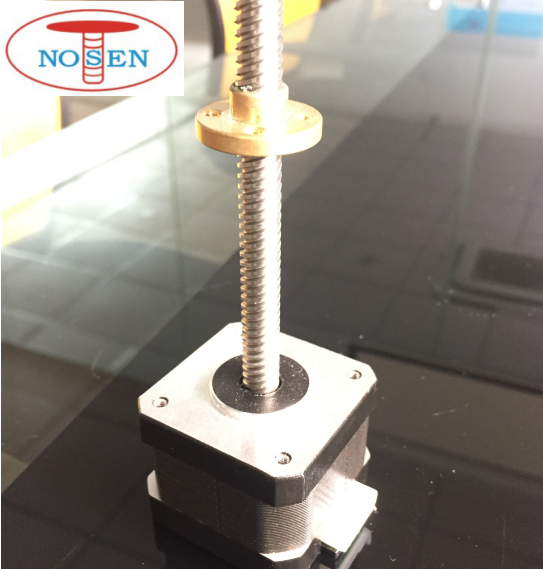 NOSEN Motorized Linear Actuator Lift :with motor and screw lift itself, can automatically lifting without connecting another motor. Application:Used in screw fastening, ink painting, handling transfer,such as stamping parts, lather parts, die casting, injection molded parts,transmission, glue, polishing, welding, loading, handling, dispensing, Palletizing, drilling, tapping, with characteristic of precision, accuracy .